Discover how Guthrie's architectural history and picturesque beauty provide great opportunities for a wide variety of projects. The Scottish Rite Temple is a MUST SEE. One of the largest in the world, it has ornate woodworking, enormous auditoriums, themed rooms, and a Harry Potter type library. Dozens of films have used this location in a wide variety of ways. The Stables Cafe has been used for scenes in Hellraisers 10 and The Grayman. The stars from Rain Man (Tom Cruise, Dustin Hoffman), and others like Stacey Afleck and Stephen Spielberg have enjoyed their legendary BBQ. Post Office Court Room has been used for many projects. It's availability, classic features and location make it an ideal filming location. Captivating Churches - there are over 25 that proved a wide variety of locations from modest to extravagant. The Stone Lion Inn is a favorite for ghost hunters. Beautiful Bed and Breakfast that hosts Murder Mystery Dinners because of its numerous ghost stories. 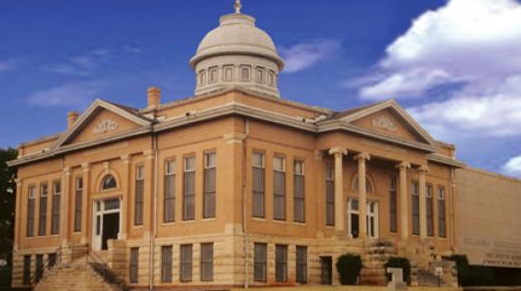 The Oklahoma Territorial Museum & Carnegie Library tell the history of Guthrie as the capital city of the territorial government and the very first state capital. Guthrie Ghost Walk - Historic downtown has always been a focal point for spirits, sprights and specters. Guthrie Haunts voted the best haunted house in OK 2016. Lionsgate filmed a Blair Witch movie promo here. Very Scary! Beacon Drive In has been used for many productions. Great location to highlight Americana at its best.